I’m still plugging away. A few work and school things pulled me away but my August projects are nearly done. 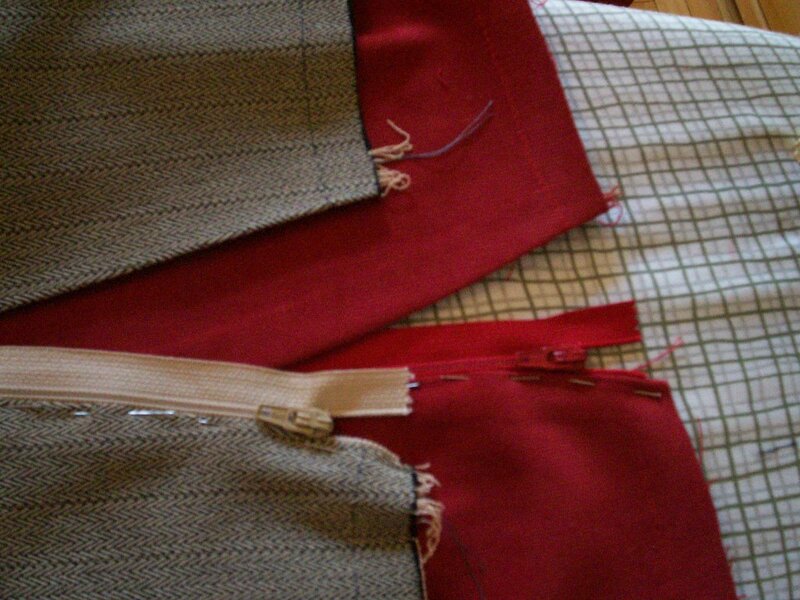 and the facing has been sewn in for the red skirt. However, after having a very frustrating time with the red skirt’s zipper I decided to put in the gray zipper differently. 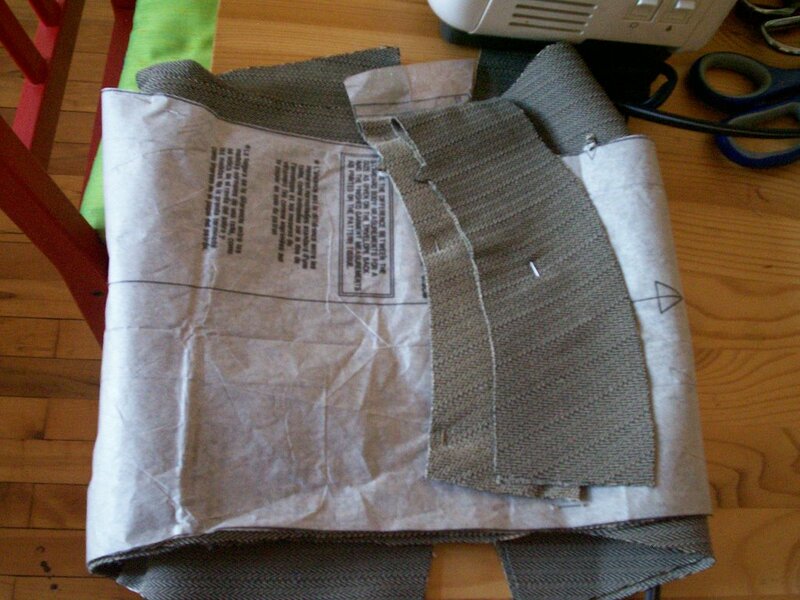 I was flipping through Wendy Mullin’s book Sew U at the bookstore and decided that instead of doing the lapped zipper that the pattern asked for I was just going to do it the easier way, as a centered zipper. So by doing the zipper, then the facing on the gray skirt and a few hours (maybe days) of watching TV and hand sewing the hems, I should definitely be done this week. Is it too late for an August project? 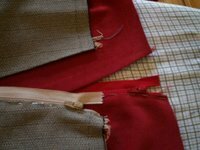 Looking forward to seeing them done, good on you finding a way to sew in a zip that suits you, I hate the things! I’ve still not finished my dress and probably won’t this week so you’re not alone in your finishing up.